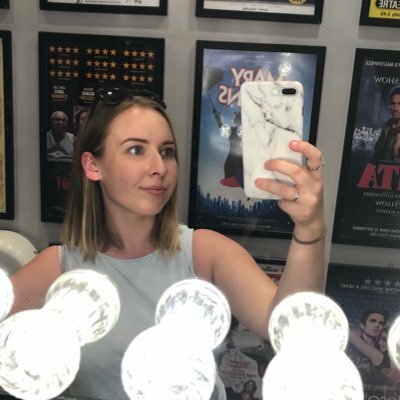 The Play That Goes Wrong has been on the West End for about three years now, and is a production by Mischief Theatre (the same company that created The Comedy About A Bank Robbery). After the success of The Play That Goes Wrong, they’ve also created Peter Pan Goes Wrong which was a huge hit on the BBC last Christmas, and are in the process of creating two new shows. A Christmas Carol Goes Wrong is due to be shown on the BBC over Christmas, and Mischief Movie Night is hitting the West End for a limited 7 week run from next month. Yes, I’m going to do my best to grab myself a ticket to that too! Maybe at the end of December if I can convince Jack to take a trip into London for the third time this year – he hates big cities so it’s a big ask. After a mix up with theatre bookings, the Cornley Polytechnic Drama Society are performing The Murder At Haversham Manor in a West End Theatre, rather than their auditorium. The set is still half finished just before the play begins, and that’s only the beginning of the chaos. The set falls apart regularly, plenty of injuries occur and the stagehands even end up understudying some of the lead roles. Oh, there’s a missing dog and Duran Duran CD too. The physical comedy is fantastic, and at moments you’ll find your heart in your mouth. I sure did! Mishaps are a thing that happen on stage all the time, but they go unnoticed by the audience. But this show takes these mishaps to the extreme. Everything is amplified and it’s bloody fantastic! I think I loved this show so much since on stage mishaps are my favourite to hear about. Nothing serious or dangerous, just little behind the scenes things you wouldn’t even know about without being told. Botched lines, costume malfunctions and missing props are something that actors have to work with, but this time we get to laugh. I’ve got to recommend arriving for 7pm (or 2pm for a matinee), as soon as the doors to the auditorium open. Whilst the play itself doesn’t begin until 7:30pm (2:30pm on a matinee), there is plenty to watch. With the crew putting the finishing touches to the stage and asking for audience help, there’s high entertainment value. You’ll be laughing well before the show kicks off! And don’t worry about needing expensive seats to see everything. Jack and I were right at the back and saw everything which is very rare in London theatres. It really is the perfect theatre for The Play That Goes Wrong. I’m a big fan of Mischief Theatre, and can’t wait to see what they bless us with next. Even if you’re not a regular theatre goer, you’re missing a treat by skipping a trip to the Duchess Theatre to see The Play That Goes Wrong. I can truly see myself returning in the future.